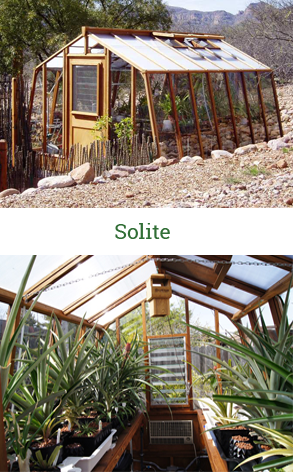 Our greenhouses are engineered for function and good looks. 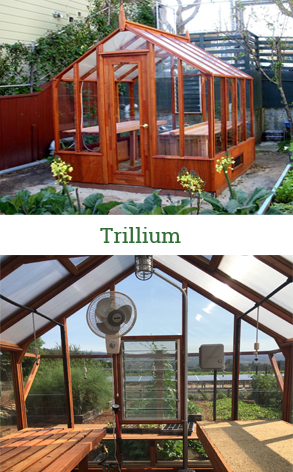 Even our smaller greenhouse kits have ample space for you and your plants. 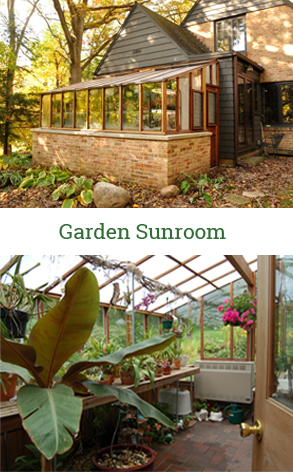 Each kit comes complete with everything needed for installation on your foundation or basewall – glass (or other glazing), hardware, door, caulking and instructions. 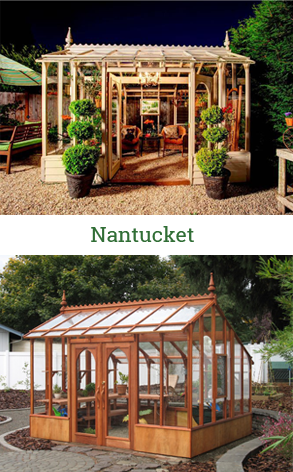 Many sizes and styles to choose from, in lean-to and freestanding versions. 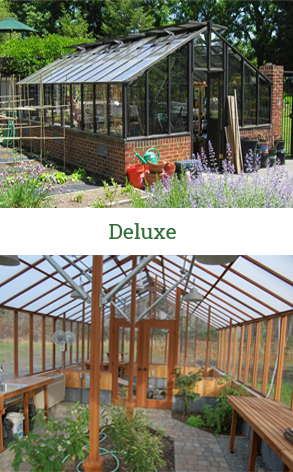 Each greenhouse includes features and options unique to each customer. Custom modifications are possible. Click on the emboldened words below for more information. 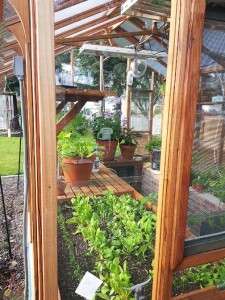 We use the finest redwood materials in our greenhouse kits. 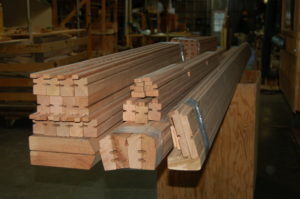 All the redwood pieces are carefully milled for proper fit. 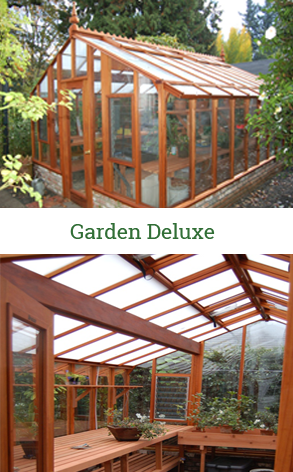 in our greenhouses is lapped glass to assure fine appearance and long service life. 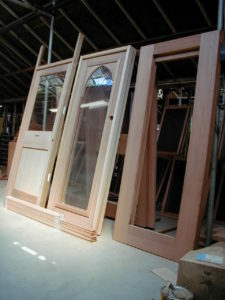 Twin wall poly-carbonate and double glazing is also available. 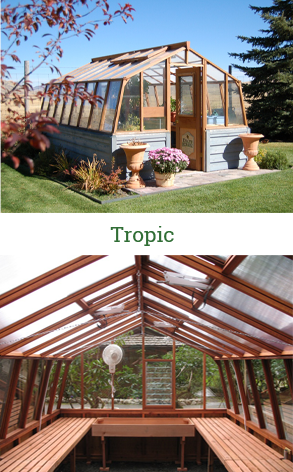 For natural and gentle air flow, we incorporate roof vents into each greenhouse. 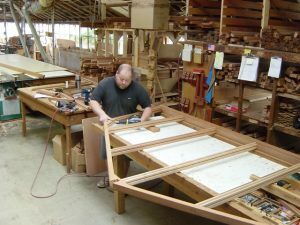 Handmade doors are crafted here in our factory using durable 1 1/2″ thick top quality redwood. 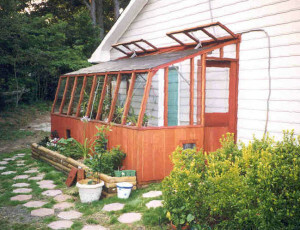 Greenhouse endwalls are uniquely prefabricated in large sections. Side walls are precision precut and marked for efficient assembly using screws. 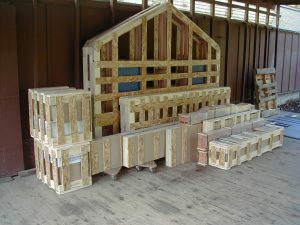 Each greenhouse is a complete kit, custom packed and shipped to you in wooden crates for maximum protection. 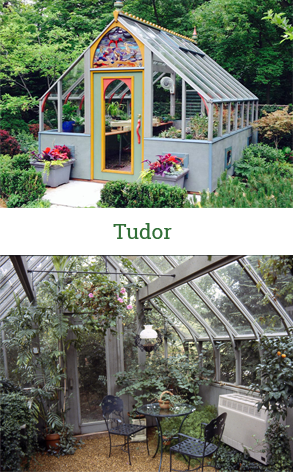 Interior Condensation Control is engineered into each of our greenhouses. We are here to serve you! Call and talk to us personally. No phone menus or voice mail during business hours (M-F 8:00am to 4:30pm PST).